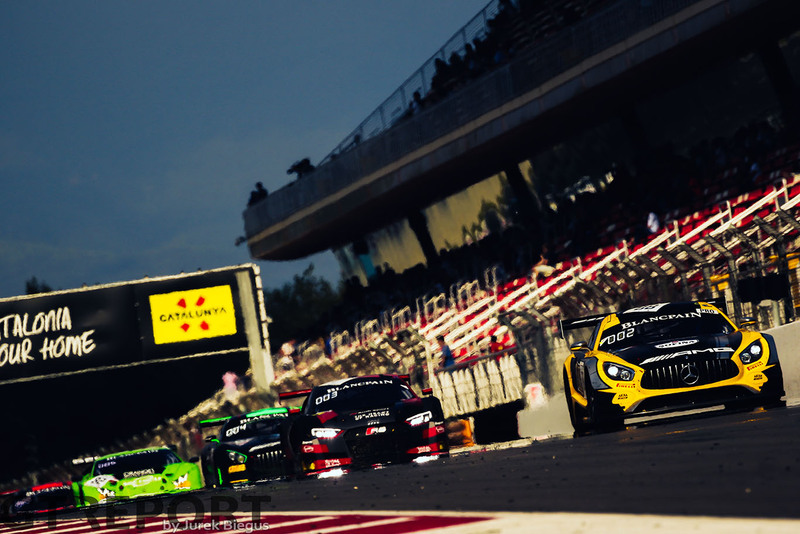 The Blancpain GT Endurance series came to a close this weekend in the sunshine of the Circuit de Barcelona-Catalunya with the not unrealistic expectation that all the titles would be wrapped up. In the end all but the team championship and Endurance Drivers Cup were signed off as the champions-elect were disqualified 3 hours and 40 minutes after the race had finished, the fans had gone home and the champagne had gone flat. At the start of the day it was between Team AKKA ASP and Black Falcon with a single point separating the two. 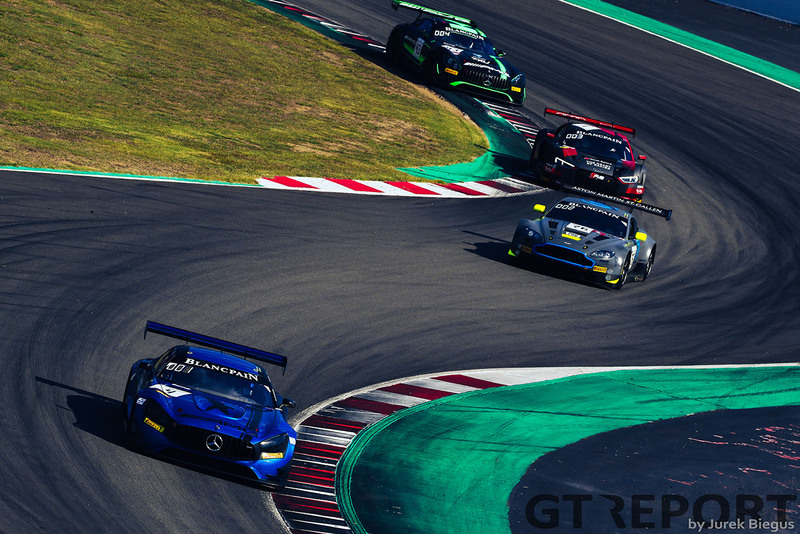 The number 4 Black Falcon of Maro Engel, Luca Stolz and Yelmer Buurman mixed things up before the start of the race by placing their Mercedes-AMG GT3 on pole and claiming the qualifying bonus point that leveled the playing field. “It’s not about the single point but the points in the race,” stated Buurman after qualifying, but he’d failed to reckon with the regulations. Crossing the finish line ahead of the yellow and black number 88 Mercedes of Tristan Vautier, Daniel Juncadella and Raffaele Marciello to claim the victory and title, the Black Falcon crew were disqualified from the event following a technical infringement spotted in post-race scrutineering: a section of black tape on the air inlet tract which isn’t present on the FIA homologation form left the team in breach of articles 6 and 11 of the technical regulations. The result, pending an inevitable appeal from Black Falcon, see’s AKKA ASP take the Endurance Cup honours. The overall Blancpain GT championship, which is not in doubt also goes to AKKA and Marciello. The race itself was largely a green-light to flag victory for the number 4 Mercedes which only briefly dropped to second place following the third pit stops when the number 54 Emil Frey Jaguar, having stopped under the safety car, emerged in the lead on what was its final competitive appearance. Buurman quickly overhauled the Jaguar and was able to hold off the challenge from Vautier despite two late safety cars 30 minutes and 10 minutes from the end. Despite the sprint to the flag, Buurman was able to pull away from the Frenchman and his victory was never in doubt. 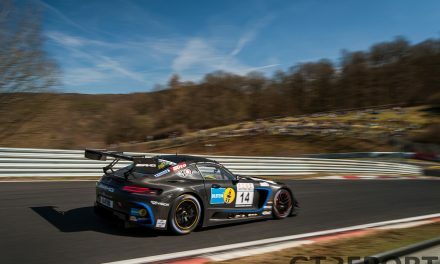 Maro Engel started the race and didn’t seem troubled by the competition which was forming a train behind the R-Motorsport Aston Martin Vantage GT3 of Nicki Thiim. 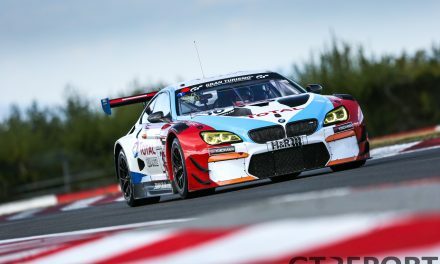 By the end of his stint, Engel and clawed out a 20-second advantage before handing over to teammate Luca Stolz. “A big thank you to the team,” said Engel after the race. 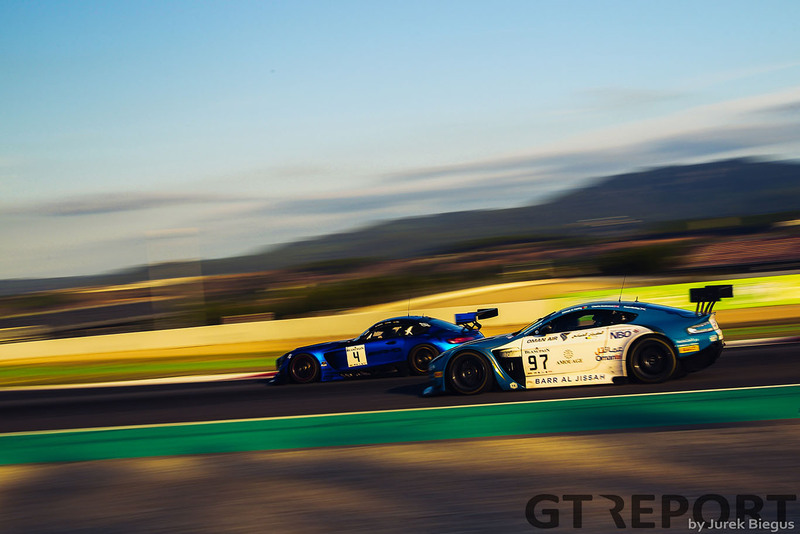 “They set up the car beautifully and it was a pleasure to drive the first stint, the Aston certainly helped which was holding back the other guys who probably could have driven quicker but either way the car was really strong. “As it is in Blancpain with safety cars and full course yellows, those gaps can change around very quickly. “I’m massively proud of the team to win this championship and together with Luca and Yelmer who have done an awesome job all year. We came here saying lets not worry too much about the championship and just try and win the race because there are so many contenders who can still win the endurance cup that the best way to go about it is to win the race and I’m so happy to have won that. “Maro did an awesome stint at the beginning so it was quite an easy job actually,” said Stolz with just the hint of a smile. “But in Blancpain it can change really quickly and we had a safety car and the contenders close up really quickly so in the end I had to push. “I think nobody knows, but we had a puncture just before the last stop on the front left so it was not such an easy race as it looked. Yelmer Buurman took the final stint and with two safety cars to deal with probably had the hardest job. 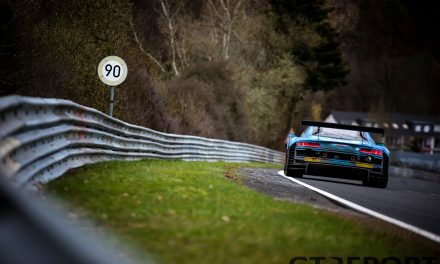 “When Maro had built the gap, every time there was a Full Course Yellow I was thinking ‘no safety car, no safety car’, but obviously it would happen at some point and at the end of my stint it happened quite a few times. “Like Maro said, the car was an absolute pleasure to drive, it was very good and quite easy to handle and I was quite comfortable and confident that I could stay in the lead as overtaking here is quite difficult. 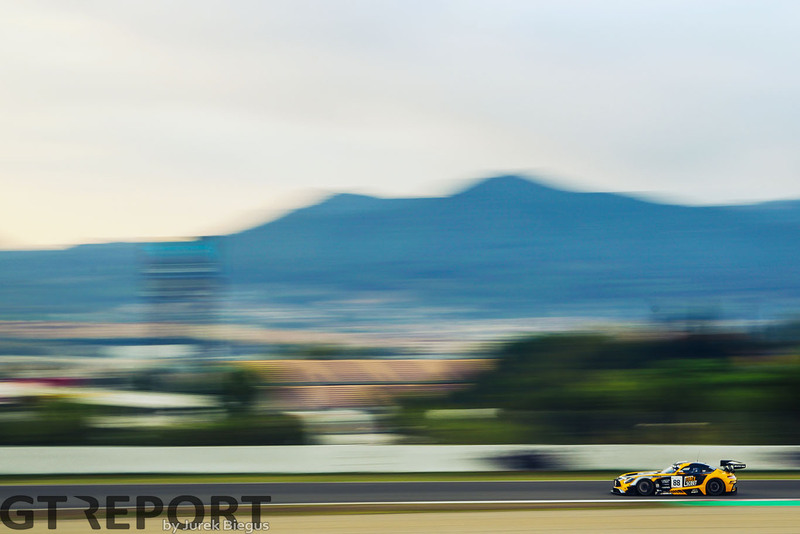 Buurman was also full of praise for the Mercedes-AMG GT3 and preparation that went towards the win. “From my side, Mercedes-AMG gave us a fantastic car, team Black Falcon prepared it in a very good way and my teammates, they both did an awesome job, so everything we needed for the championship in the end. 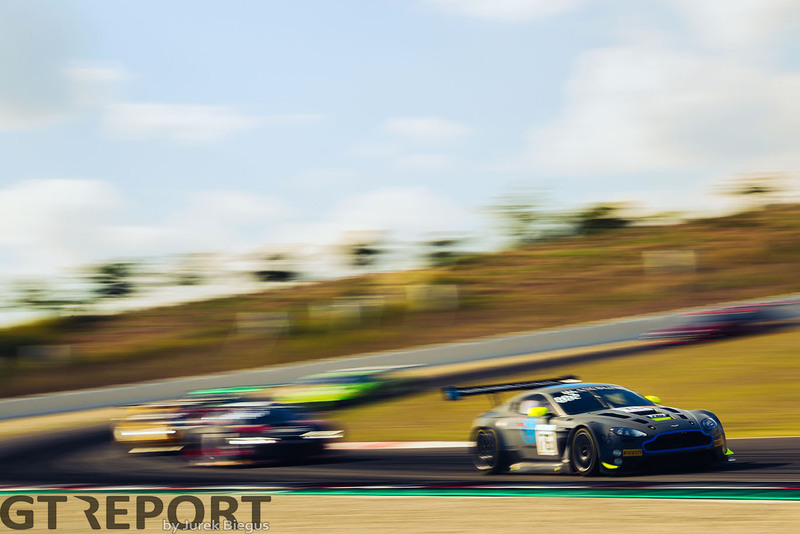 The 2018 overall Blancpain GT series champion Raffaele Marciello picked up his second title in the past two weeks but admitted it didn’t quite feel right. “With AKKA, I feel at home because Jérôme (Policand – team owner) is really passionate so it’s really nice to work with a guy like that and who knows about motorsport because he was a racer.